The beloved bestseller that offers a practical, inspiring new roadmap for raising self-reliant, ethical, and compassionate children. In the trenches of a typical day, every parent encounters a child afflicted with ingratitude and entitlement. In a world where material abundance abounds, parents want so badly to raise self-disciplined, appreciative, and resourceful children who are not spoiled by the plentitude around them. But how to accomplish this feat? The answer has eluded the best-intentioned mothers and fathers who overprotect, overindulge, and overschedule their children's lives. Dr. Mogel helps parents learn how to turn their children's worst traits into their greatest attributes. Starting with stories of everyday parenting problems and examining them through the lens of the Torah, the Talmud, and important Jewish teachings, The Blessing of a Skinned Knee shows parents how to teach children to honor their parents and to respect others, escape the danger of overvaluing children's need for self-expression so that their kids don't become "little attorneys," accept that their children are both ordinary and unique, and treasure the power and holiness of the present moment. It is Mogel's singular achievement that she makes these teachings relevant for any era and any household of any faith. 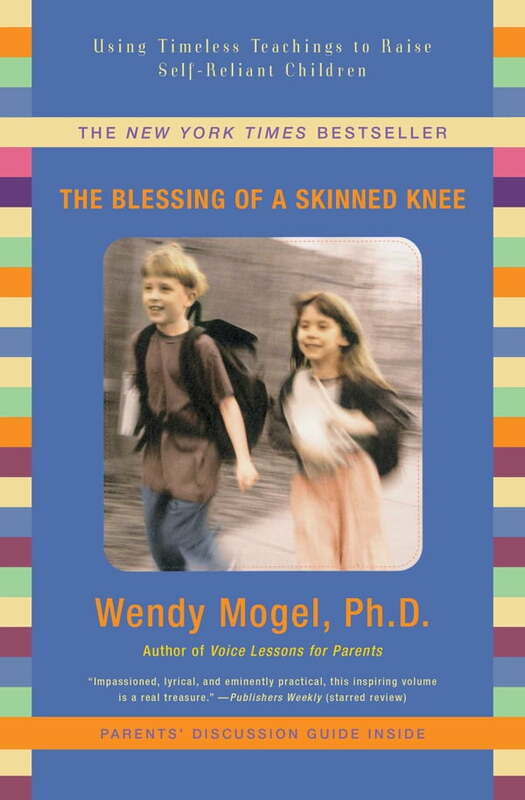 A unique parenting book, designed for use both in the home and in parenting classes, with an on-line teaching guide to help facilitate its use, The Blessing of a Skinned Knee is both inspiring and effective in the day-to-day challenge of raising self-reliant children.